Arizona State University’s School of Public Affairs has launched a graduate certificate in participatory governance, the first of its kind. The program is aimed at students interested in designing, implementing and/or evaluating public engagement initiatives and participatory democracy, particularly at the level of local government. Schugurensky, who is also co-director of the School of Public Affairs’ Participatory Governance Initiative, led efforts to launch the program. 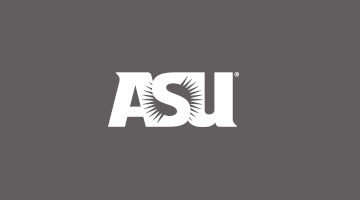 He hopes the program will advance ongoing collaboration between ASU and other institutions in this area. Colleagues from coast to coast already are excited about the possibilities the program brings to the field. Also in support of the initiative is Pete Peterson, executive director of the Davenport Institute for Public Engagement and Civic Leadership at Pepperdine University’s School of Public Policy. “As the relationship between citizens and our governing institutions undergoes a significant transition due to tight budgets and technology, ASU's new certificate in participatory governance is a momentous response by a graduate program in preparing tomorrow's leaders,” he said. The Graduate Certificate in Participatory Governance is now accepting applications for fall 2013. It is open to students interested in pursuing participatory governance as a specialization within their existing ASU graduate program or as a stand-alone certificate. For more information or to apply to the program, visit http://spa.asu.edu/participatorygovernance.